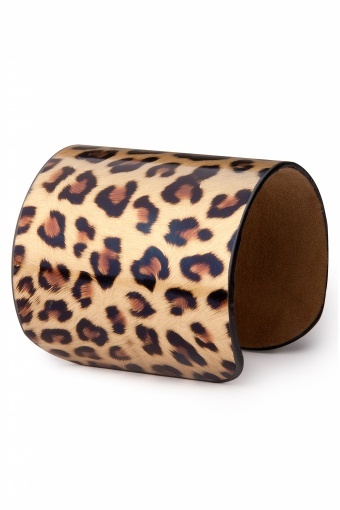 Wrap Your Wrist De Luxe Leopard cuff. Vavavoooom! 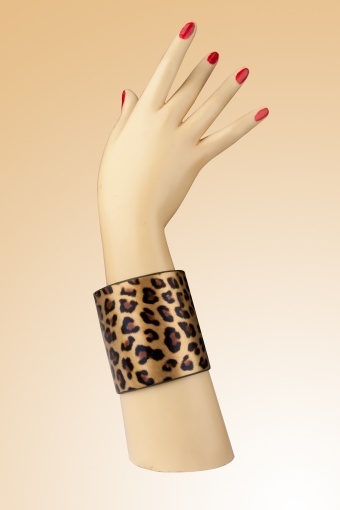 Superfab cuff with gogeous shiny leopard print. 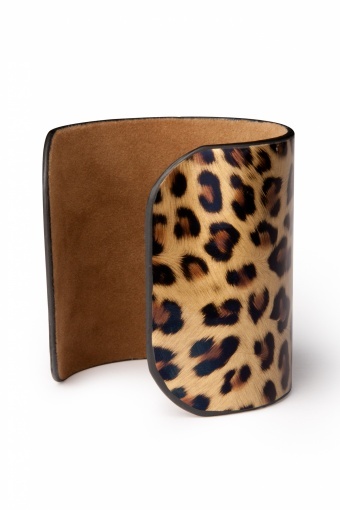 The inside is lined with super soft camel toned faux suede. 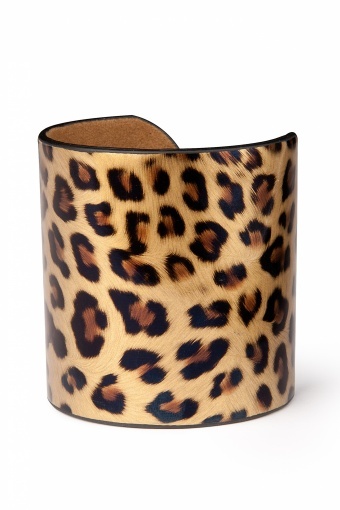 Because of the thin metal base inside this cuff is slightly flexibel and therefore adjustable.